Stop One on my tour of America's National Parks was unexpectedly one I've visited several times. 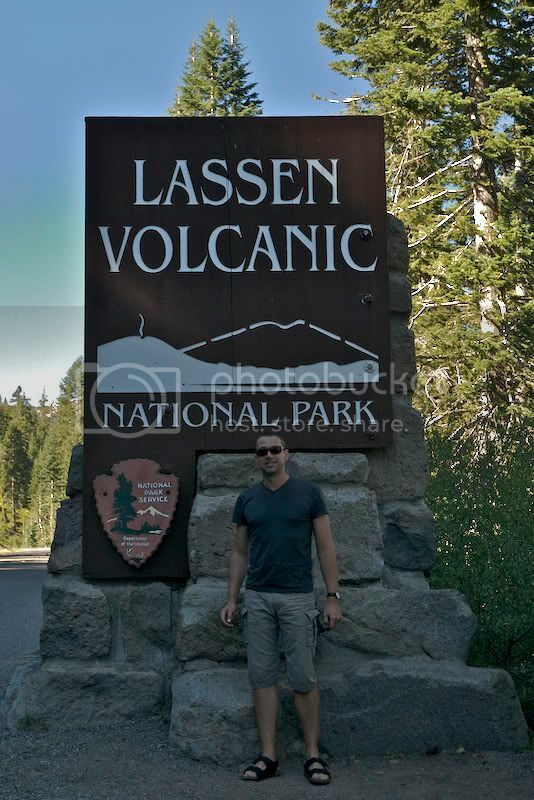 My original itinerary had me driving straight to Oregon's Crater Lake National Park, but given my leisurely schedule I decided to stop by and see two aspects of the park I've missed on more recent trips: Lassen Peak and the still-smoldering volcanic features that give the park its very appropriate name. 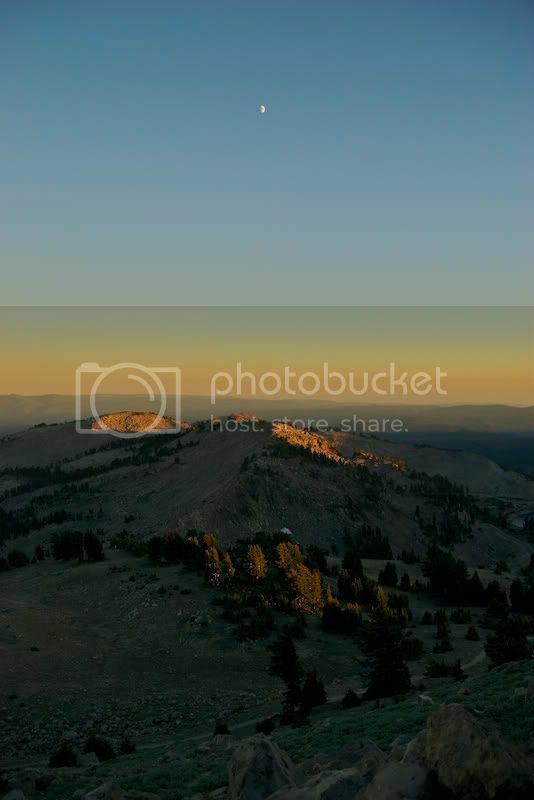 Lassen is one of the lesser-known National Parks even among those native to California. I've spoken to many in San Francisco who have never heard of it, despite its mere 220 miles from the Bay Area. In many ways, Lassen is the Ringo Starr of California's National Parks, with Yosemite definitely stealing the limelight. Lassen is a great visit for many reasons: despite being further than Yosemite, the route is nearly entirely freeway so door-to-door is about 3 and half hours. Also, because of its relatively obscure status, it gets very few visitors making it an ideal destination for solitude and a more subtle appreciation of nature. The landscape is not as breathtaking as Yosemite, but unique and interesting in its own right given the region's recent history of volcanic activity. My recent trips to Lassen have been focused on backcountry backpacking and trekking to many of the park's remote lakes. Check out the link at the bottom of this post for pictures from my most recent trip with John McDermott and Tod Vedock last fall. As the photos suggest, it gets quite cold in Lassen. Even yesterday, with highs around 85, it dropped to 35 at night. As I mentioned, getting to Lassen is pretty easy. Take I-5 North via I-205 from I-80 and you'll be in the town of Red Bluff in about 2.5 hours. Skip Red Bluff and head for Mineral outside the Park's entrance. A short distance from the park is the Mineral Lodge, whose restaurant I highly recommend. There is a terribly grumpy old man who works the "general store" and appears to do very little except bark at the Mexican guy who runs the restaurant. He is waiter, cook, bus boy and I imagine dishwasher. Get the Volcano breakfast. Its mountainous. The road approaching Lassen features many reminders of the volcanic past in this area. Vast grassy fields are strewn with boulders the size of small cars that were at one time violently ejected from the volcano's erupting crater. Seeing these rocks, you can imagine the peril one might experience should another eruption happen again. 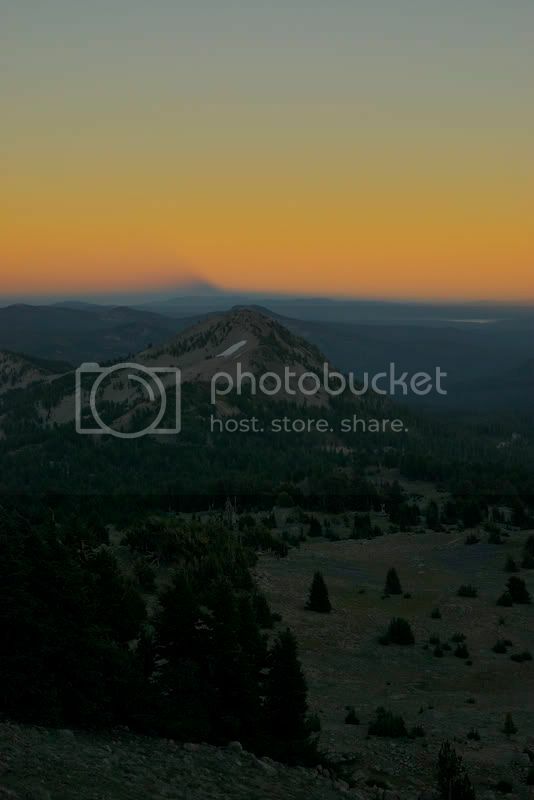 The landscape of today's Lassen park is dominated by Lassen Peak, rising to 10,457 feet. 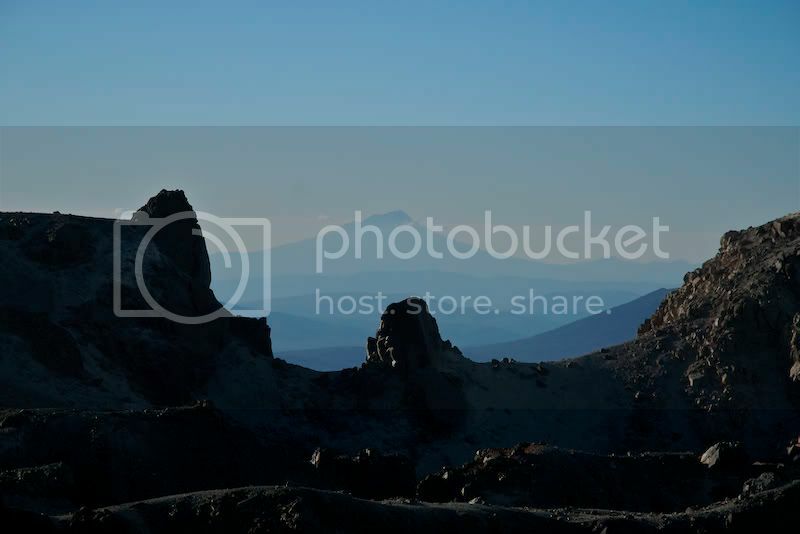 Lassen Peak holds the distinction as being the largest plug-dome volcano in the world. A perhaps unappealing analogy is that of a giant zit; as magma and molten rock push toward the Earth's crust, surface features impede this progress causing the ground to swell behind the impending pressure. The most recent eruption of Lassen Peak was in 1914 and well-documented by local inhabitants and the San Francisco Chronicle. Prior to this eruption, the pre-existing Cinder Cone and interesting geo-thermal features were already designated as National Monuments by President Roosevelt (Theodore). 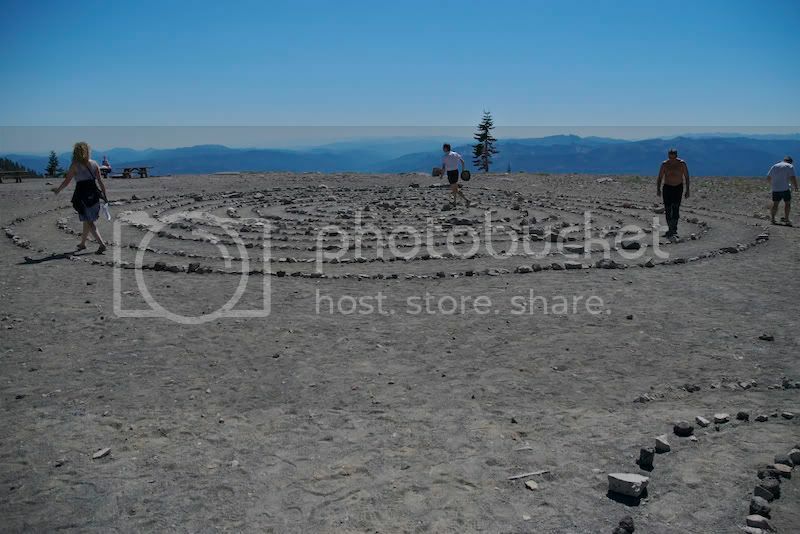 After the eruption, these monuments were combined and surrounding areas were protected as Lassen Volcanic National Park. The motivation for the National Park status was to preserve the land following the eruption and allow both the Public and scientists to observe the natural recovery and rebirth of the landscape. Touring the park today, its not as obvious that such a devastating eruption took place as recently as 1914. If you've visited Mt. St. Helens, you could easily conclude that eruption happened yesterday. Today's Lassen is very much covered by vegetation, but remnants of its recent volcanic past remain in the form of giant cinder cones, fields of blackened rock, steam vents, mud pots and fumaroles. 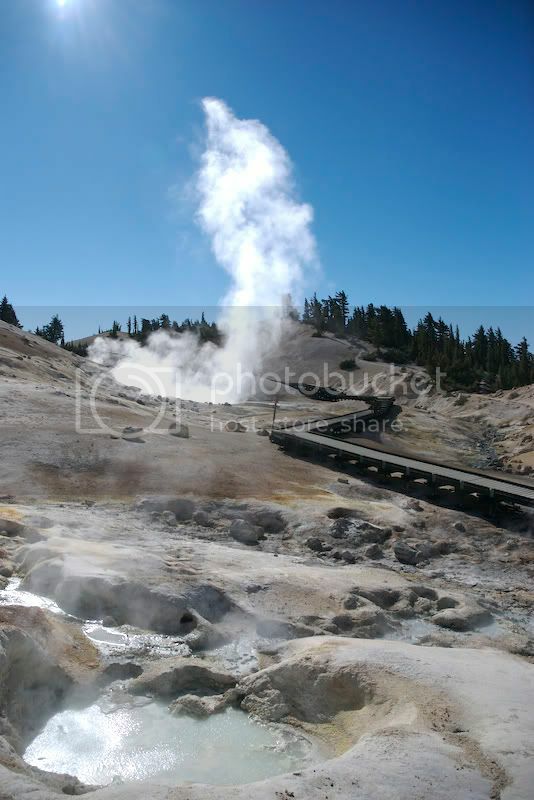 As I mentioned, I wanted to summit Lassen Peak and visit the geothermal sites known as Bumpass Hell. "Climbing" the peak sounds dramatic, but its a relatively moderate hike along a well-formed trail. The trailhead starts around 8,500 and rises another 2,000 feet over 2.5 miles (5 miles round trip). Guides will tell you the hike takes 5 hours. I got to the top in a little over an hour. The view is pretty incredible, and is most enjoyed at sunrise or sunset. to the North you can make out Mt. Shasta, California's 2nd highest peak. To the East you can see the Sierra Range and on clear days you can see Yosemite to the Southeast and the Three Sisters of the Cascade Range in Oregon. I left the parking lot around 6:00 and the sun was setting about the time I returned. On this trip I couldn't make it to the very top, as that area was being protected for restoration. 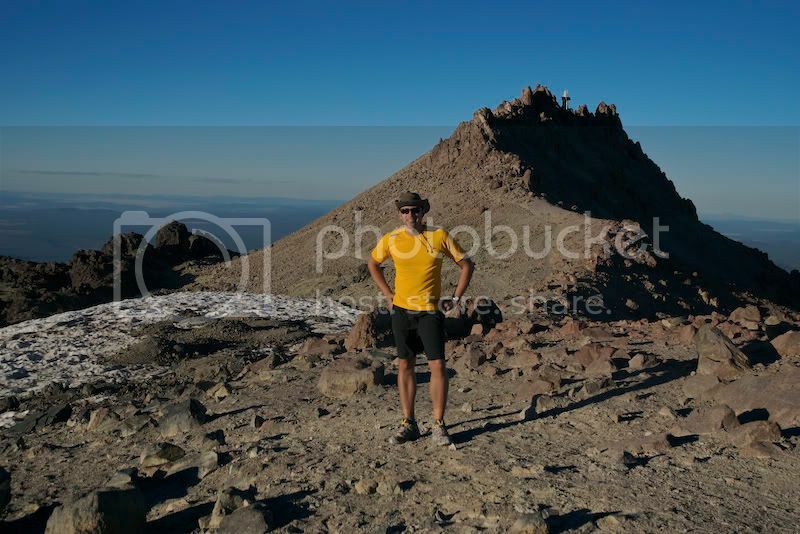 There is a weather station (pictured) that is at the top of Lassen Peak. I guess I made it about 10,250 feet or so. Its cold and breezy up there, the temperature will drop about 30 degrees on your way up. Also, if you're coming from sea level as I was, 10,500 is a pretty dramatic change you might feel pretty dizzy, winded or perhaps even succumb to altitude sickness. I did not as I've done this trip before, but figure that into your plans and allow extra time if you plan to summit the peak. That night I camped in the park so I could hit Bumpass Hell in the morning. I say camped, but in reality I slept in the car. My Honda CRV is well equipped for this type of travel. Seats lie perfectly flat and it has a fold-out picnic table in the back (which I've never used). Anyway, the next morning I hiked down to Bumpass Hell. As you approach, the area reeks of sulphur and you can see large plumes of steam and noxious gases rising into the morning sky. Approaching the vents, it does become considerably warmer as the ground underfoot is heated by nearby magma still active under the park. Mud pots (boiling caldrons of super-heated water and clay), steam vents and entire lakes boil right in front of you. The trail converts to a series of elevated boardwalks that allow you to approach these features safely, and visitors would be well-advised to stay to defined paths. Bumpass Hell is named after one of the park's earliest guides and area naturalist Kendall Vanbook Bumpass. He had the dubious fortune of discovering the boiling lakes and steam vents quite by accident, resulting in his leg being badly burned after breaking through the thin crust of soil into boiling mud below. Word of his discovery spread and he was convinced by a reporter to guide the journalist back to the site, only to fall through the rock once again; this time resulting in his leg being amputated. Hell indeed. On the plus side, it is one of the park's most visited sites and bears his name today. Parts of the boardwalk were recently closed to visitors as an especially vigorous mud pot began belching 230 C mud onto to startled tourists. Visiting this area reminded me of when Tod and I were in Costa Rica, we stopped by a volcanic park in Guanacaste. There was a hand-painted sign that read, "Be careful" and that was about it. At one point we stopped to pose for photos next to a simmering mud pot and discovered our shoes were melting to the super-heated rock below. Given that experience, I take the warnings at Lassen quite seriously. From Lassen I headed North and stopped at the base of Mt. Shasta. The view from the summit trailhead was quite nice. I didn't go up because you need a permit for that (its 4,000 feet from the parking lot pretty much straight up). I did see a bunch of new-age hippy-types running around a spiral rock formation attempting to channel the good vibes of the mountain's reputed spiritual prowess. I watched these folks go round and around and then nearly collapse from the "overwhelming energy" they claimed to have imbibed. A skeptical old man standing next to me remarked, "That's supposed to be a zero-point giving them that sensation. I think those idiots are just dizzy." I agreed.